Example sheet of 12 different watercolor techniques. Worksheet is great as a reference for students that need a visual at their desk or a check-off list. 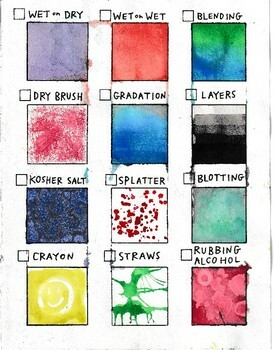 Perfect for a one-day in class watercolor exploration activity. 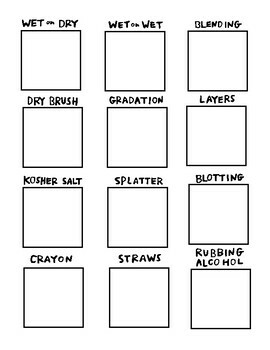 Included is a blank watercolor swatches worksheet IF you have the ability to print on a higher weight paper.